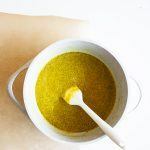 This past winter and fall, I became obsessed with the Pumpkin Golden Milk Latte recipe that warmed my insides before enduring a chilly day, that brought comfort during for a midday pick me up and aided in a post-dinner ease of mind. 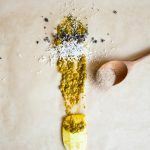 This warm and comforting delicious spice stole the hearts and eased the minds of everyone that try it, so I knew had to bring it into spring with me! 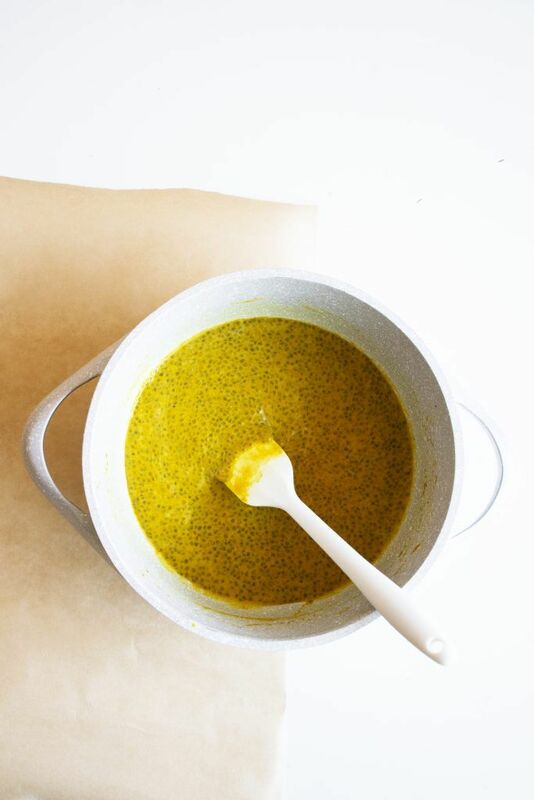 In this weeks recipe, I paired this healing herb with a boost of omega 3’s, fiber, and plant-based protein for a Golden Milk Chia Pudding that is as diverse as the healing benefits of Turmeric. 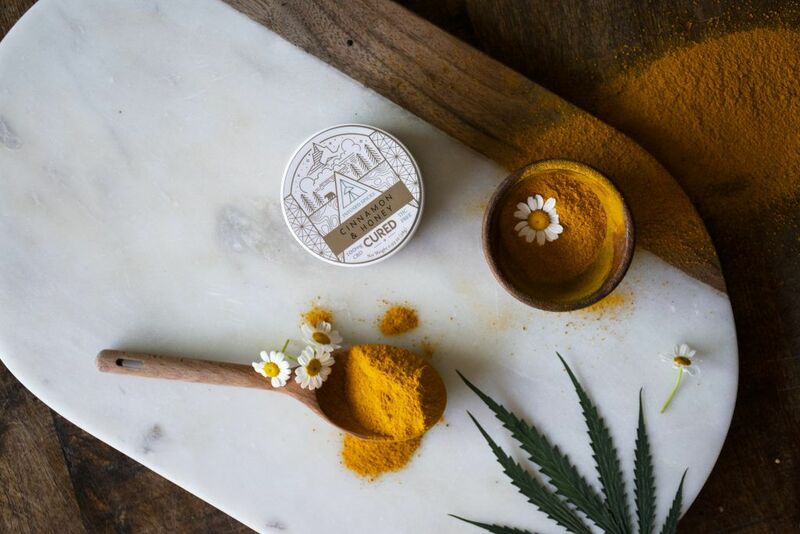 This healing herb is known for its variest mind-body healing benefits, categorizing it as a powerful adaptogen. 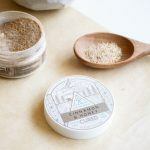 If you are familiar with Cured, then chances are, you’ve heard about adaptogens and their healing powers. 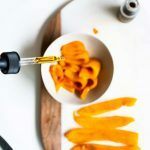 We take them, we talk about them, and we’re always plotting new ways to incorporate them into our daily practice through the RISE and ZEN caps, yummy recipes, and on the go drink add-ins! With so many to choose from, I thought you could use a guide to begin to restore, realign, and bring your body back into balance with the help of these healing roots, herbs, and mushrooms! 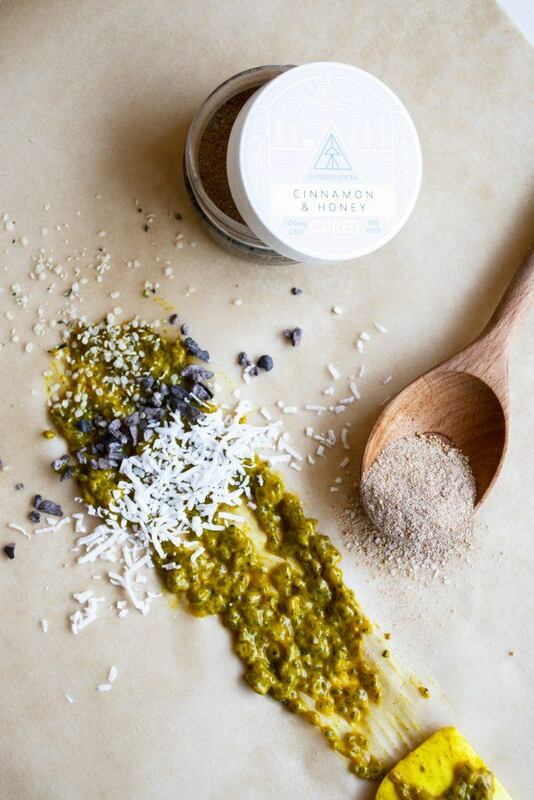 Adaptogens are non-toxic herbs, roots, and mushrooms that have been used for centuries in Chinese and Ayurvedic medicine that are known to support the body against physical, chemical or biological stressors. The name comes from their known ability to “adapt” their functions, depending on what the body needs. 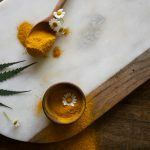 Adaptogens are thought to provide a variety of health benefits, and scientists all over the world are studying the herbs’ ability to boost energy levels, balance hormones and soothe inflammation. 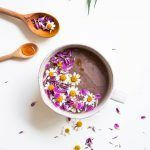 Different adaptogens can help your body cope with a wide variety of ailments. 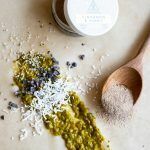 So whether you’re training for a marathon, enduring a week-long study session, or even just sprinting through a stressful midday meeting, adaptogens may be key! 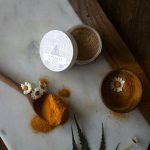 Research shows adaptogens can combat fatigue, enhance mental performance, ease depression and anxiety, and help you thrive rather than just muddle through. 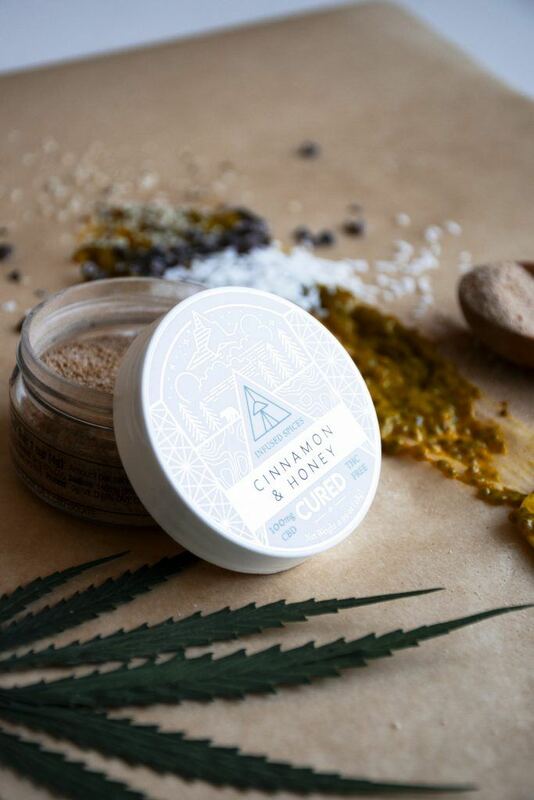 Using Cured Spices allows you to utilize a microdose amount of CBD, meaning to manipulate the receptors and gain a desire physiologic response with less CBD. When we face a stressor whether physical or mental (and in today’s society, stressors are hard to avoid! ), our bodies go through what’s called general adaptation syndrome (GAS). GAS is a three-stage response: alarm, resistance, and exhaustion. 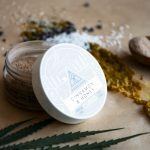 Adaptogens help us sustain in the resistance phase longer, supporting the body by having stimulating effects that hold off the exhaustion. Instead of crashing in the midst of a stressful moment, task, or event, you are able to attain equilibrium and can move through it gracefully. 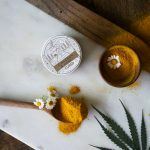 Each adaptogen has a different effect on the body, so the choice of which one to take will depend on the result you seek. For example, if you’re both frazzled and fried, ashwagandha might be the ally to both energize and relax you! Each adaptogen tackles a different stressor to help support your body and bring it back into balance. There are HUNDREDS of these powerful herbs. Below is a list that has brought a deep sense of ease to both my own mind and body! 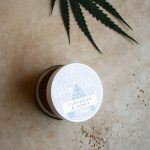 Consider adding adaptogens into your ally, especially when you’re going to have a big day, or when you were out late partying or otherwise didn’t recover well the night before. These roots, herbs, and mushrooms can be helpful to even the busiest of minds and greyest of days! This recipe comes together quickly and is diverse to be consumed for vibrant breakfast, filling snack, or late night indulgent. This recipe comes together quickly and is diverse to be consumed for vibrant breakfast, filling snack, or late night indulgent. 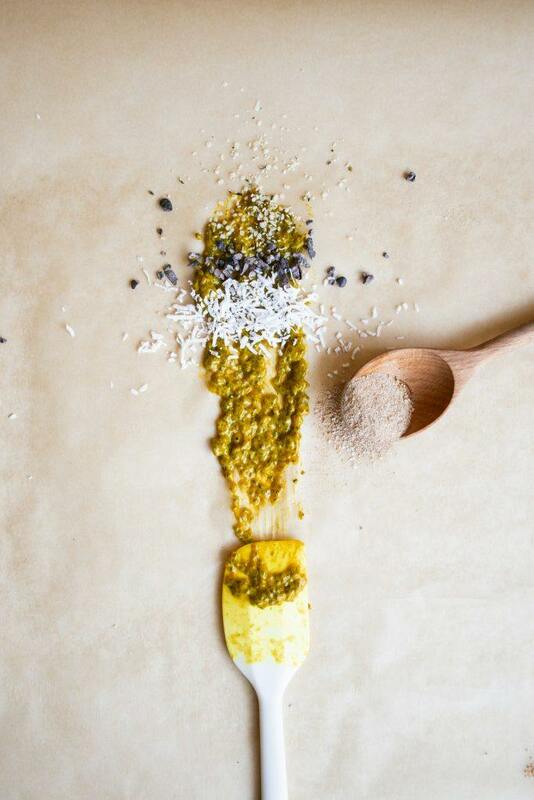 The chia seeds add in a boost of Omega 3’s, fiber, and some plant-based protein, while the “golden” ingredient comes from the Curcumin in turmeric, a powerful phytonutrient known for several health benefits! Place in the fridge, and let sit for at least 2 hours (or overnight). Pudding will be thick when ready.